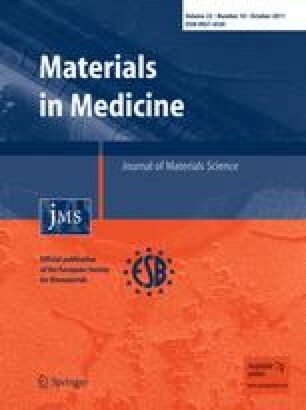 In this work, the use of molecularly imprinted polymers (MIPs) for citalolpram as anti-depressant drug was studied. Imprinted polymers were prepared from methacrylic acid (MAA; functional monomer), ethylene glycol dimethacrylate (EGDMA; cross-linker), and citalopram (as a drug template) using bulk polymerization method. The polymeric devices were further characterized by FT-IR, thermogravimetric analysis, scanning electron microscopy, and binding experiments. The dissolution media employed in controlled release studies were hydrochloric acid at the pH level of 4.3 and phosphate buffers, at pH levels of 7.2 and 10.1, maintained at 37.0 and 25.0 ± 0.5°C. Results showed the ability of MIP polymers to control the release of citalopram. In all cases, the imprinted polymers showed a higher affinity for citalopram and a slower release rate than the nonimprinted polymers. At the pH level of 4.3 and at the temperature of 25°C, slower release of citalopram imprinted polymer occurred. The authors would like to thank Mr. Roghanizad for his technical assistance in experiments.